Real stainless steel sports water bottles - vacuum insulated double wall water tumblers have sleek design, keep your drinks cold for 8 hours and hot for 6 hours-no matter what the weather's doing outside. 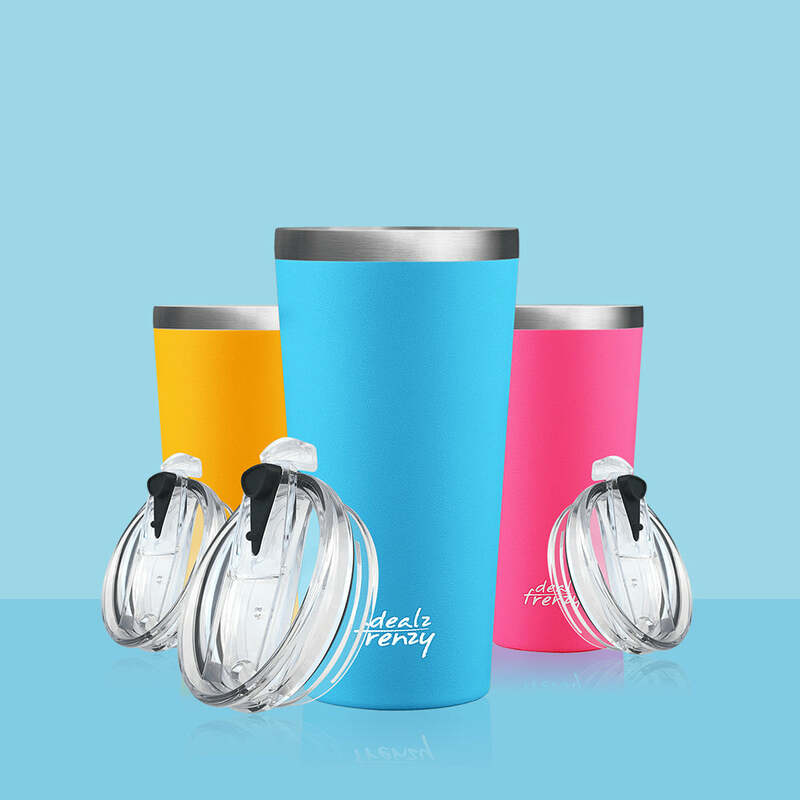 Unlike other best water bottles, Dealz Frenzy's eco-friendly and healthy water bottle has a powder coat, which gives you a solid grip. Real stainless steel vacuum insulated reusable sports water flasks, no sweat and condensation. 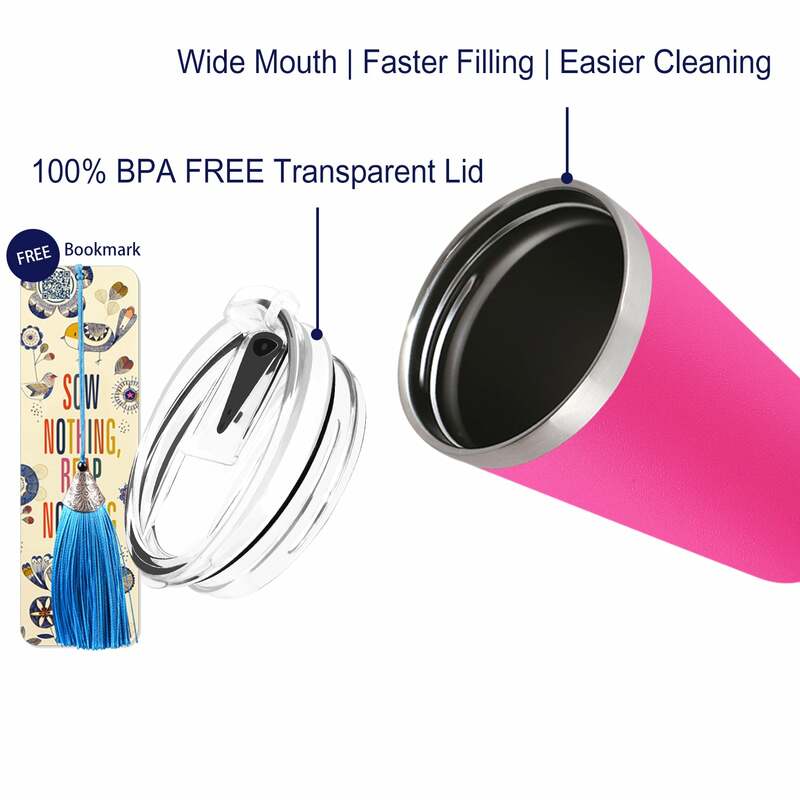 Wide mouth vacuum insulated flasks are easy to clean. 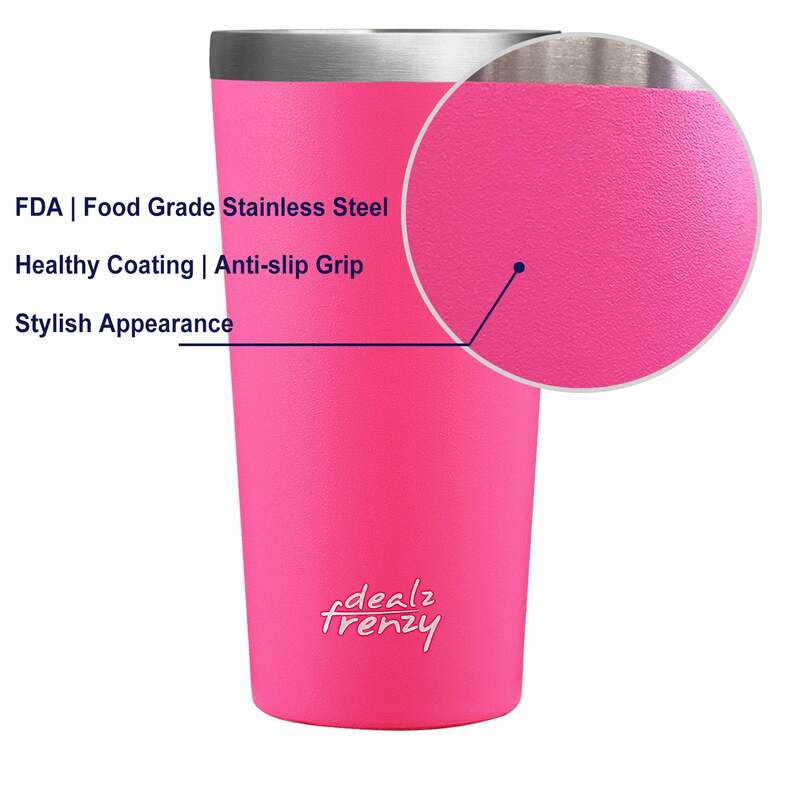 The stainless steel funny mugs fit in your vehicles' cup holders and bicycle bottle racks, and are suitable for hiking, camping or doing any other outdoor recreation. 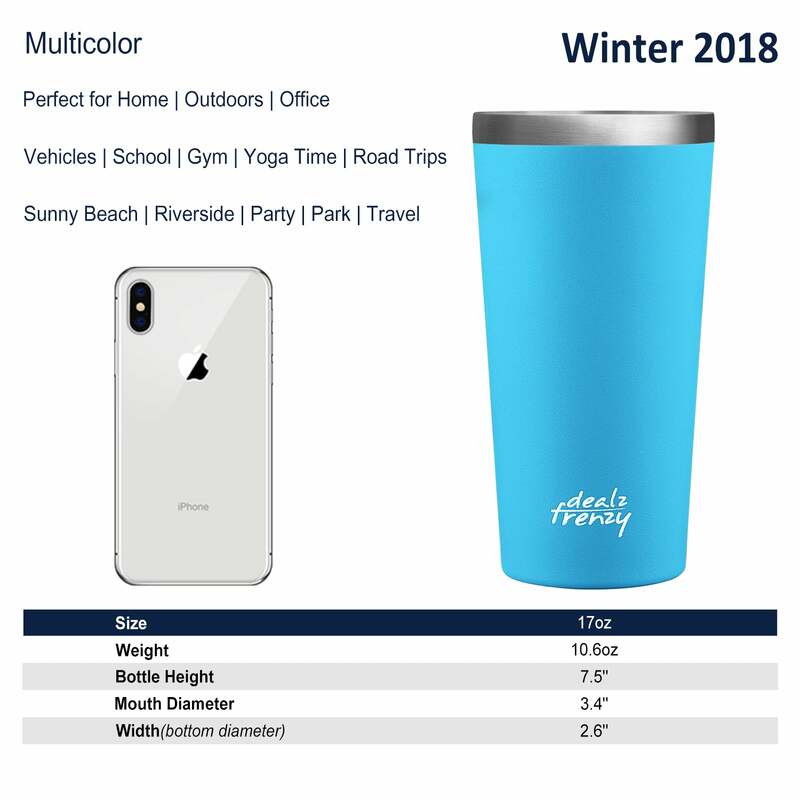 The stainless steel vacuum insulated double wall travel mug is made from food-grade stainless steel material which is BPA free, healthy and non-toxic, FDA approved. You can drink it directly without any worry. 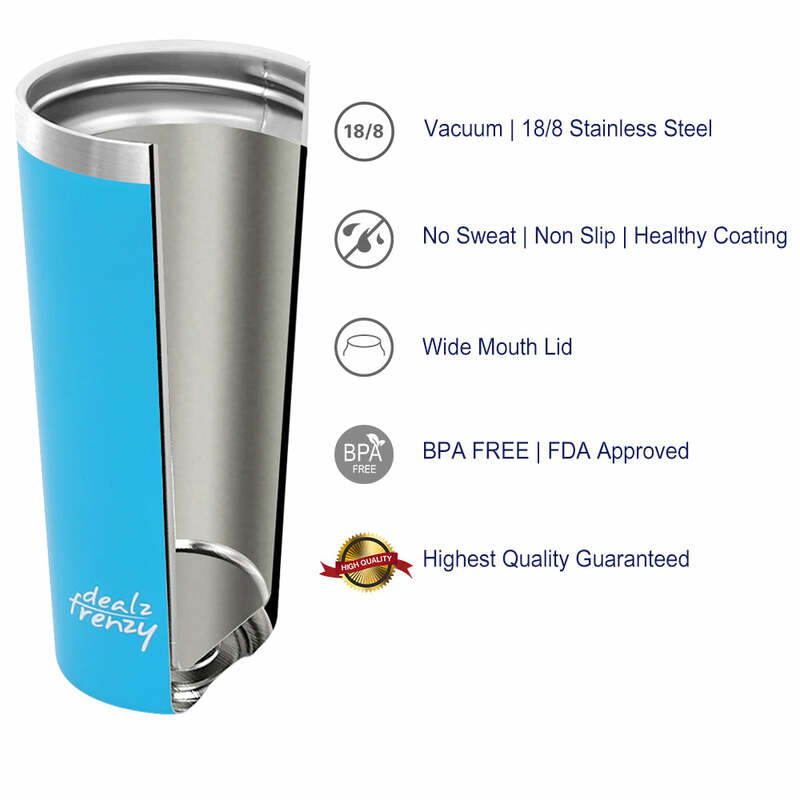 Safety is top-of-mind, DealzFrenzy Team offers high-quality stainless steel vacuum insulated double wall sports water bottles, superior customer service, and a life-time warranty. Perfect for a lazy morning sipping on your porch or days at the pool or beach. The wide mouth is convenient for putting ice cubes and easy to drink. Texture is not slippery, which makes it easy to grip and hold.